NINETY MILLION Americans – that is the number of people who snore while they sleep, according to the American Sleep Apnea Association. Given the size of the problem, and the need for safe and effective treatment, non-surgical laser snoring treatments are growing in popularity. Of the 90 million snorers, about half are either “simple snorers” (less than 5 so-called events per hour) or “primary snorers” (five to ten events per hour). The other half may actually suffer from Obstructive Sleep Apnea (OSA). The potential long-term effects of OSA make it a serious enough problem for anyone who shows symptoms to be tested and treated. Snoring can lead to lack of proper sleep, both for the snorer and those around him or her. Oxygen deprivation from an obstructed airway can contribute to hypertension, migraines, headaches, depression, impotence – even a higher probability of heart attack, stroke and death. A painful operation to reduce airway obstruction by cutting out bone and/or soft tissue at the palate of the mouth. In the 1990s, Surgical Laser Snoring Treatments became a third choice for providing relief for snorers and those close to them. However, these procedures came to be recognized as painful – so much so, they require narcotic drugs after the procedure. They were also not proven to have a high success rate, and may result in residual tissue damage. In 2013 a new and better treatment was introduced – Non-Surgical Laser Snoring Treatment is comfortable, effective, affordable alternative to traditional surgery, laser laser surgery and CPAP. What are the main snoring treatments today? Treatments for removing certain airway obstructions include four popular options, each with a set of advantages and disadvantages. Continuous Positive Airway Pressure Therapy (CPAP) machines are forced-air devices. The snorer wears a face mask that pumps air through the nose and/or mouth depending on the patient’s normal method of breathing. The forced air helps mitigate the shortage of oxygen that comes with an obstructed airway. Before someone can be prescribed a CPAP machine, they must undergo a sleep study. This normally involves an overnight stay at a sleep center or hospital where your body is monitored while you sleep. CPAP machines were introduced in 1981. The early machines were noisy and they used cumbersome face masks with large hoses, making it very difficult to sleep. Newer CPAP machines have gotten more compact and effective, but not perfect. Potential air leaks through the mask could add complications, and the tubes, though smaller, still make it hard to move about in bed. INSURANCE ALERT! Unfortunately, CPAP machines are not normally covered by insurance. Costs – CPAP machines range from $400 to $2,000 depending on quality and features. UPPP Surgery (Uvulopalatopharyngoplasty) is a procedure where excess tissue is removed to open the airway and facilitate improved breathing and fewer snoring episodes. Depending on the patient, removal may include the uvula (that little thing hanging in the back of your throat), soft palate (back of the roof of the mouth), or the tonsils. Unfortunately, recovery is known to be painful and the process lasts about three weeks. INSURANCE ALERT! Many companies will not cover snoring surgery. Costs – Snoring surgery runs $2,000 to $10,000 and up. LAUP, (standing for Laser-Assisted Uvulopalatalplasty), is similar to traditional surgery described earlier, but the entire procedure uses a laser in lieu of a scalpel. LAUP is the most recognized of the two laser snoring treatment options. However, patients should be aware that LAUP and variations have less than satisfactory success rates, they can disfigure, and require strong painkillers post-op. The patient is conscious with local anesthesia. A nose and throat surgeon (otolaryngologist) uses a CO2 laser to take away the uvula, soft palatal tissue and possibly the tonsils. First, anesthetic is sprayed on the back of the patient’s mouth to numb target areas. Two vertical incisions are made on the soft palate on one side of the uvula. Another laser incision removes the tip of the uvula. Part of the soft palatal tissue is often taken, as well. INSURANCE ALERT! Companies do not consider snoring a health issue, but rather, esthetic, and will not cover the procedure. Similar to surgical treatment described above. Research proves that LAUP has a high failure rate, and possibly worsens snoring, or has no effect. Patients may need to repeat the procedure several times before success can be achieved. Up to three weeks recovery. Narcotic pain killers typically required for at least two weeks. Not recommended for patients with strong gag reflex. Swallowing is a chore for months post-op and may cause liquids to go up into the nose. Cost – An evaluation runs around $225, plus $500 per treatment session with an average of two to five sessions normally required, scheduled four weeks apart. Non-surgical laser snoring treatments require no surgery and bring better sleep. Since 2013, non-surgical laser snoring treatments have proven to be a formidable weapon in the fight against snoring. NightLase™, the commercial name for non-surgical laser snoring treatment, is comfortable, free of surgery or burning of tissue, and is vastly effective. The essential procedure involves the use of an Erbium laser to gently heat the soft tissue area in the back of the throat – as if a mere flashlight were being used. Patients experience a warm feeling on the area where the laser light is directed. The laser energy helps to tighten and tone palatal tissue, thereby causing an opening of the airway – and an open airway means less snoring, better breathing and a reduction in the probability of suffering from sleep apnea. Interestingly, the dentist controls the intensity of laser light merely by asking the patient to report on the level of heat or discomfort they may feel. Best of all, there is no need for anesthesia of any kind. Three to four treatments are required, every three or so weeks. During this time, collagen re-forms and new collagen is generated inside the palatal tissue and uvula. Remarkably, normal lifestyle is resumed post-op with no restrictions. Though results will be most apparent after conclusion of all treatment sessions, patients, and those around them, will notice a difference just weeks after the very first treatment. NightLase™ uses Erbium laser energy to convert Type III collagen to Type I collagen in the soft palatal tissue. Type I collagen is more dense than Type III collagen. Type I collagen produces a tightened, toned effect. This mitigates vibration that occurs when snoring. The soft palate and uvula also shrink, helping to eliminate airway obstruction. Research proves that the tightened effect produced by treatment with an Erbium laser is long-lasting with no residual scarring, as compared with surgery. Cost – A non-surgical laser snoring treatment typically runs $500 for each session, three to four sessions in all. INSURANCE ALERT! As of now, insurance companies re not paying for this. A great team – In cases where CPAP is well-tolerated but not as effective as desired, non-surgical laser snoring treatments can improve results. The bottom line: NightLase™ is an effective weapon against sleep deprivation and a path to better health. A study with 15-month follow-up interviews reported a 74% positive response to NightLase™ treatment, with 95.2% stating they had a reduction in snoring. Of the 95%, 57.1% of stated they had significant to excellent improvement in snoring reduction. The result of the study stated that NightLase™ effective. The best way to gauge that the treatment worked is to compare snoring and/or breathing before and after treatment. There are various way to monitor effectiveness. Smartphone apps such as SnoreLab (iPhone) and SnoreClock (Android) monitor snoring while you sleep, and present your snoring stats in the morning. Results can be sent to your dentist and inserted into your medical record. Note: As you measure your snoring, try to remain in a consistent sleeping position. For example, if you usually sleep on your side, remain in that position before and after treatment. Ask your sleep partner to gauge your snoring. Only a select group of dentists has been properly trained to perform non-surgical laser snoring treatments with NightLase™. The professionals at Bradlee Dental Care are licensed and trained to perform this highly effective procedure to help you snore less and breathe easier. 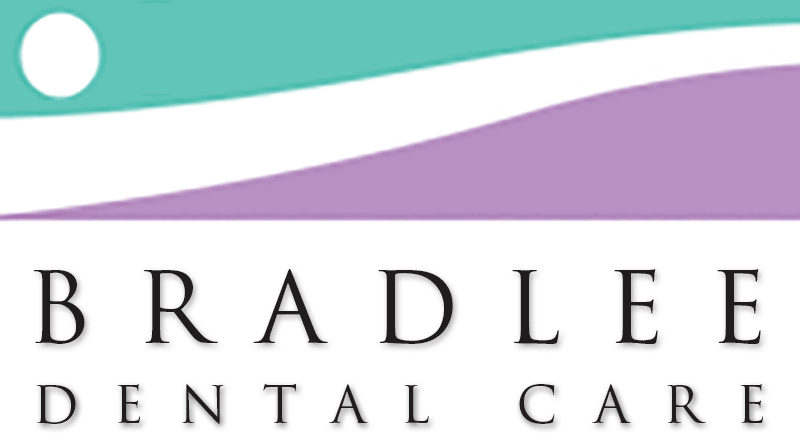 Contact Bradlee Dental Care today! Sleep Better … And Together! For NightLase™ treament in Colorado and the Midwest, please contact Dr. Rodrick.